Potassium bromide is an antiepileptic drug that is used in dogs to control seizures that are not controlled by phenobarbital alone, or in dogs that do not tolerate phenobarbital well. Potassium bromide works by decreasing seizure activity within the central nervous system. Cats are less likely to be treated with potassium bromide because they have a relatively high incidence of side effects. Although potassium bromide is an effective drug, it can take as long as four months for the concentration of potassium bromide to reach effective levels. At the beginning of treatment, your veterinarian may start your animal on a “loading dose” (higher than normal) in order to increase drug levels more rapidly. If your dog is receiving a loading dose of potassium bromide, you and your veterinarian will need to monitor your dog closely during this time because of the increased likelihood of side effects with the higher dose. Managing animals with epilepsy/seizure disorders requires a high level of commitment from the animal’s owner. Your dog will need regular blood tests to measure the concentrations of the antiepileptic drug. With this information, your veterinarian will tailor an appropriate dose for your dog. In all likelihood, your dog will be treated for the rest of his or her life. Like many other drugs in veterinary medicine, this drug is not FDA approved for use in animals and is not available from a veterinary pharmaceutical manufacturer. Instead, it is compounded by a specialty pharmacy. Give this medication to your pet exactly as your veterinarian prescribes. If you miss giving your pet a dose of potassium bromide, give the next dose as soon as you remember or, if it is close to the next scheduled dose, return to the regular schedule. Do not double dose to catch up. Potassium bromide can be irritating to the gastrointestinal tract. It may be better tolerated if given with food. 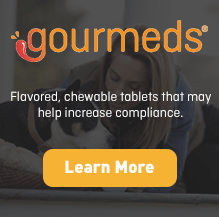 Because this drug is so irritating, you want to be sure that your dog eats enough food to push or carry the drug all the way through the esophagus and into the stomach. It is important to control your dog’s salt intake while it is receiving potassium bromide. Discuss with your veterinarian any changes in your dog’s diet. Bromide toxicity can occur in animals that are changed to a low-salt diet. Increased salt intake will decrease bromide levels, placing the animal at risk for a seizure. Profound sedation may occur when starting potassium bromide therapy particularly when using a loading dose. Your veterinarian may need to adjust the dose or the interval between doses in animals that become too groggy. Less common side effects include irritation of the gastrointestinal tract, vomiting, loss of appetite, increased thirst and urination, pancreatitis, and constipation. Older animals may have a higher incidence of adverse side effects. Keep this and all drugs out of reach of children. Potassium bromide is a prescription drug and should be used according to your veterinarian’s directions, and only given to the animal for which it was prescribed. Do not give this medication to a person. Potassium bromide is excreted principally by the kidneys. Dogs with poor kidney function may not tolerate potassium bromide. Potassium bromide should be used in pregnant animals only when the benefits clearly outweigh the risks. Diuretics such as furosemide will increase the excretion of potassium bromide. Other drugs that cause sedation may cause additional sedation when used with potassium bromide. Toxicity to potassium bromide due to chronic overdose presents as profound sedation, muscle pain, central nervous system signs, lack of coordination, stupor, and tremors. Acute overdose occurs less frequently, but may present similarly to chronic overdose with profound sedation, loss of coordination, and other central nervous system signs. Frequently animals will vomit spontaneously after an acute overdose. Different strengths or dosage forms of potassium bromide may have different storage requirements. Read the labeling or ask your pharmacist for the storage requirements of the prescription you receive. Phenobarbital is the “first-line” drug of choice for the control of seizures in dogs and cats. 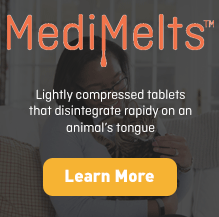 Potassium bromide is usually thought of as an “add-on drug” for those dogs whose seizures are not adequately controlled by phenobarbital alone or in dogs that are not able to tolerate phenobarbital because of liver problems. When effective levels of potassium bromide have been reached, if your dog’s seizures are well controlled, your veterinarian may be able to reduce or even eliminate the use of phenobarbital. Many dogs are able to have their phenobarbital dose reduced by as much as 50%, which can help decrease some of the negative side-effects associated with phenobarbital. Some dogs with liver problems may be able to be treated with potassium bromide alone because it is excreted by the kidneys and does not affect liver function. Potassium bromide is a third-choice drug in cats (after phenobarbital and diazepam). In addition to the side effects seen in dogs, cats can develop serious problems with their lungs (coughing, shortness of breath and difficulty breathing). These problems can be life-threatening although they will usually resolve when the potassium bromide is discontinued.